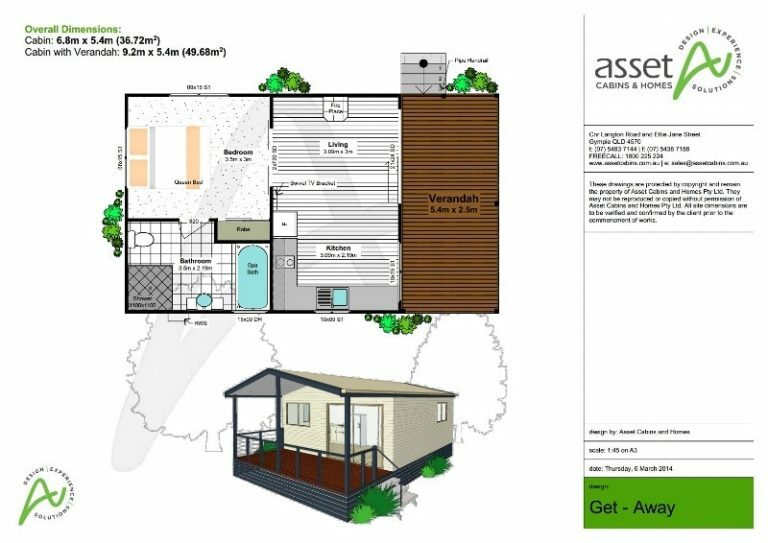 Getaway is Asset’s base model bed & breakfast/farm stay relocatable cabin – but it’s anything but basic! There’s a full-width verandah for outdoor dining and relaxing on warm days, and the open-plan living/dining/kitchen area has a fireplace for cosy evenings when the weather turns cool. The bedroom has a queen-size bed, built-in wardrobe and ensuite bathroom with a separate spa bath and shower. Asset can modify this design to suit your requirements, and you can add your own style by choosing from our huge range of optional exterior and interior features. See Creative Services for ideas! Our team of expert consultants can arrange council approval and full installation, even in difficult locations. 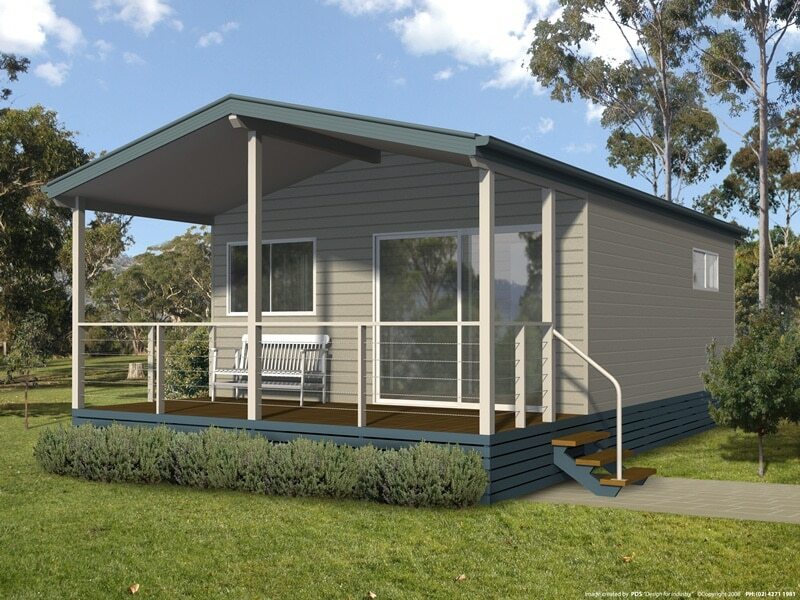 You can expect many years of dependable service and minimal maintenance with Asset relocatable cabins and homes. They’re constructed to the highest standard, and comply with the relevant Queensland building legislation. Contact Us for more information, or to discuss your requirements. Just complete the form, and we will be back to you as soon as we can. We are here to help!